We’re glad to have Linda Wigington, the founder of the THC, The Thousand Home Challenge as our guest again this Tuesday night. She’ll be glad to answer all your questions. What is it? How does it work? How is it different from other programs? Who developed it? Could my home possibly qualify? We’ll use one of our own houses that’s just starting the renovation process to see how it measures up: 198 Pond Road in Bridgton, Maine. We’ve got most of the demolition done and are starting to move walls around and change the floor plan… as we always do. Now it’s time to get serious on exactly how far we are going to shoot for in energy savings. So far we have committed and have ripped out the old way oversized and leaky HVAC system. Now what? We are discussing saving some money with interior storms and foregoing the new rigid insulation on the walls…. Will that leave us with enough options to achieve the deep reductions that we are looking for? In Maine? Click here for a DropBox link to 1000 Home Challenge materials used in this presentation. 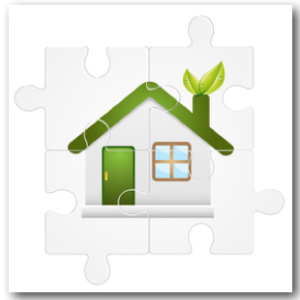 This entry was posted on Wednesday, September 18th, 2013 at 5:17 pm and is filed under EnergyWise Renovation, Green Renovation, Renovators Webinars, Thousand Home Challenge. You can follow any responses to this entry through the RSS 2.0 feed. Both comments and pings are currently closed.